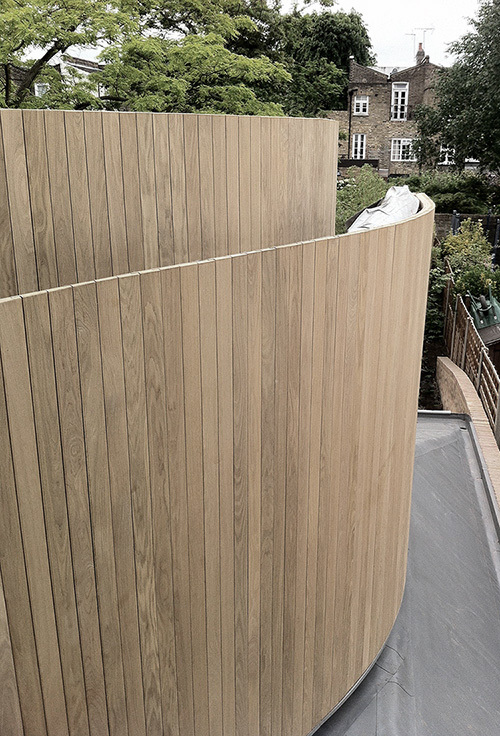 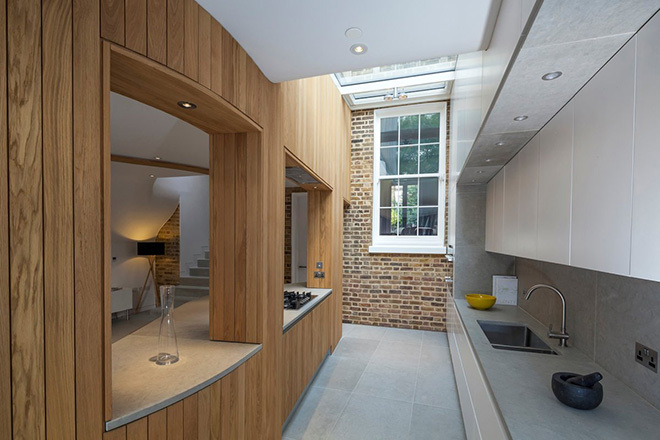 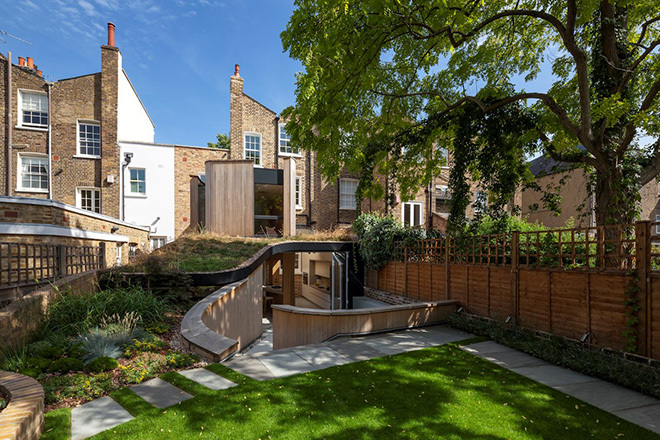 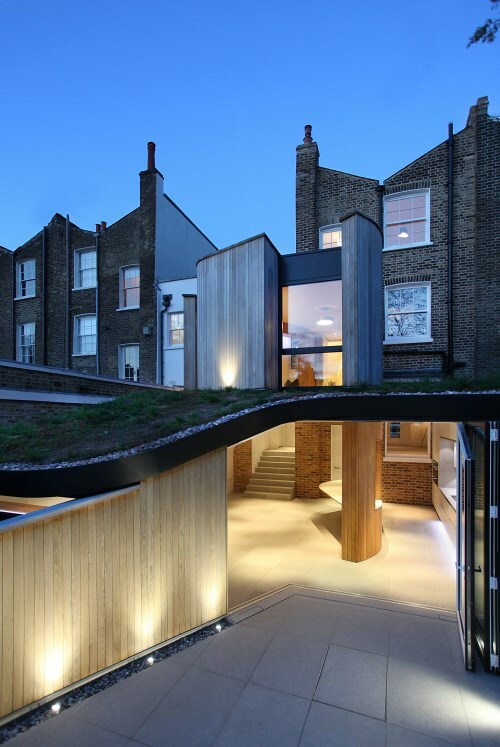 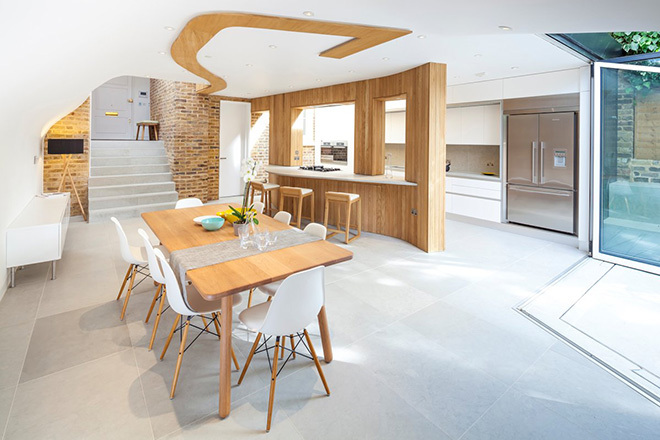 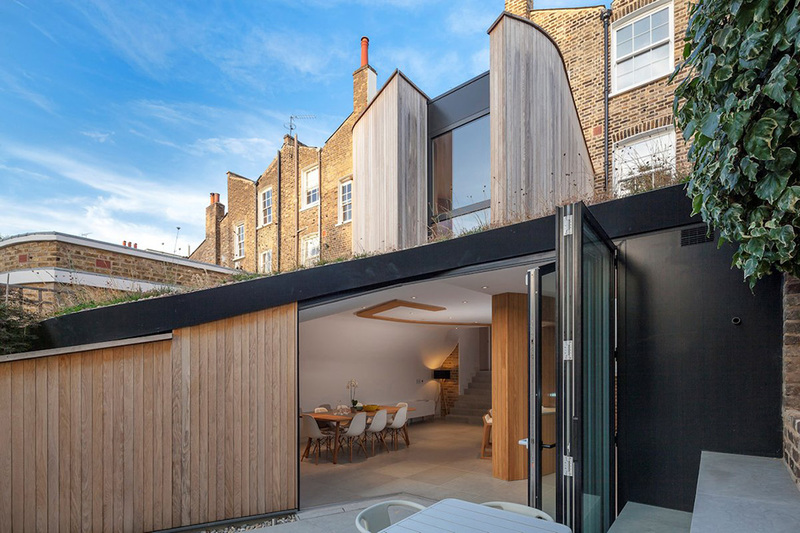 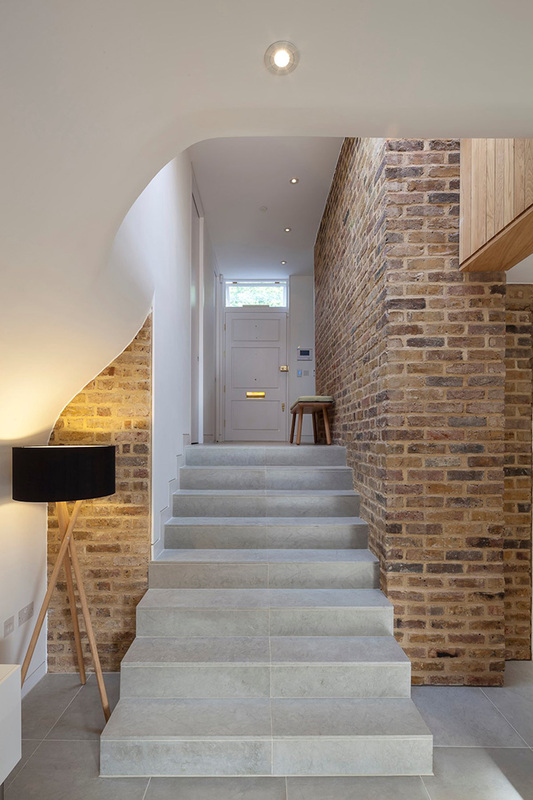 The Scott Architects undertook the refurbishment and the extension of an existing Victorian terraced house located in the De Beauvoir Road in the conservation area of Hackney. 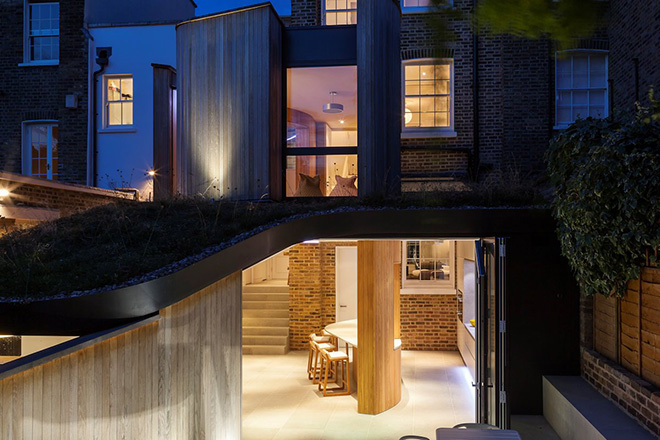 The designers created a contemporary four-bedroom house under the surface of the existing house and despite its new contemporary approach it reinstalls the Victorian character using traditional methods responding to the area’s requirements. 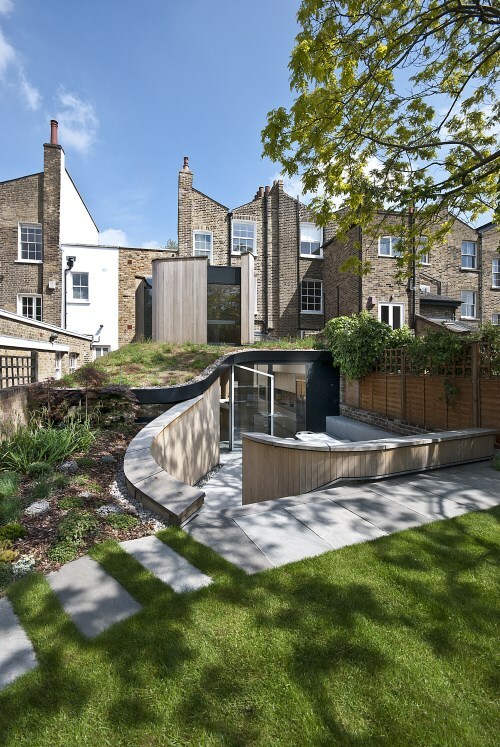 The house in not designed to be the main house but a part of the garden landscape, fact that is reflected in the sculptural curved forms and in the materials used for its construction such as the limestone flooring, the brick combined with wood features as well as the covered in grass roof.